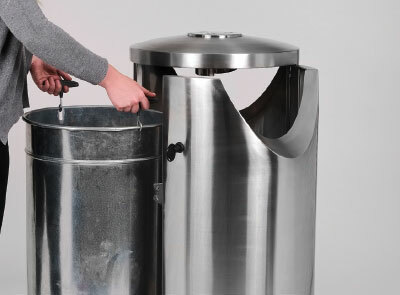 Centrum litter bin made from grade 316 stainless steel. Our Centrum litter bin's modern look, strong construction and ease of use make it suitable for a variety of contemporary locations. 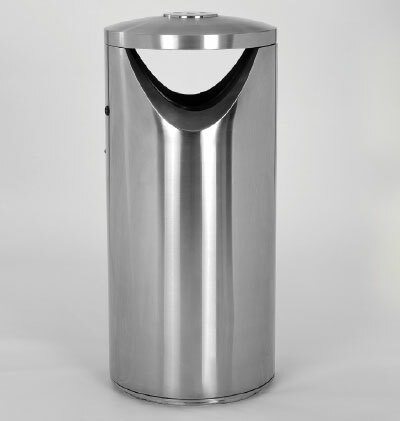 The Centrum litter bin is ideal for a variety of modern and contemporary outdoor areas. 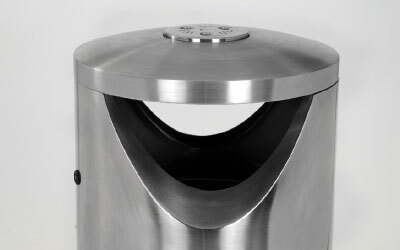 Its grade 316 stainless steel has a brushed finish to give it an impressive appearance. 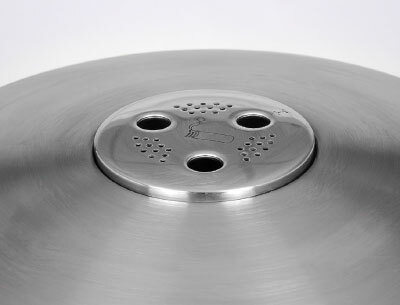 Manufactured from 1.5mm thick grade 316 stainless steel, Centrum has a strong and robust construction. 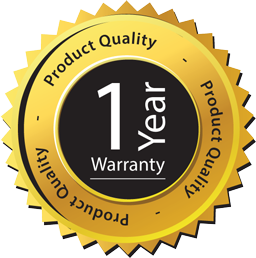 Grade 316 steel is marine-grade which provides excellent weather and corrosion resistance compared to "standard" stainless steel. 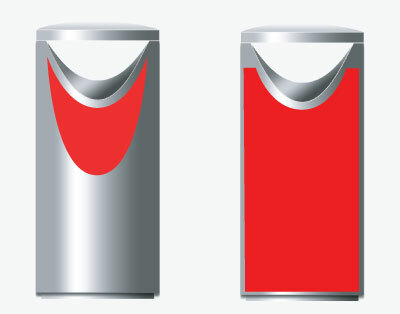 This litter bin features two large apertures to encourage usage by the public. 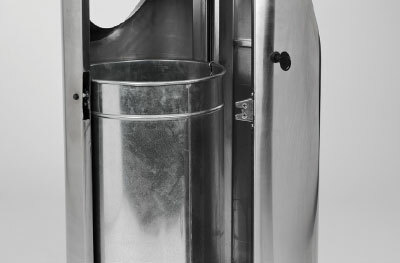 For ease of access the bin has a full length hinged door providing unrestricted access to the large capacity 90 litre liner. 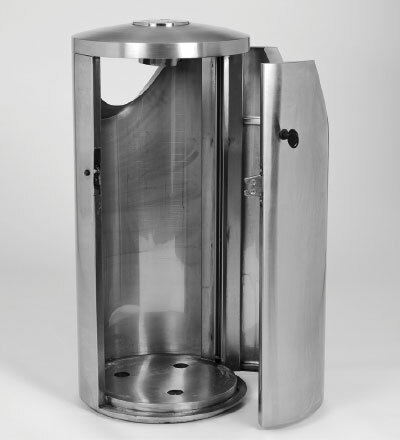 This provides the user with a way to remove the liner without the need to lift upwards. Personalisation graphics are available on the areas of the bin shown below, please contact us about your order if you would like custom graphics.